LANGKAWI, (18 December 2014) – The Royal Langkawi International Regatta (RLIR) 2015 has received 35 entries from local and international yachts for the races which will take place from 12 to 17 January 2015. More entries are expected as registration closes on 12 January 2015 at 5.00pm. Of the 35 yachts registered, 10 are from Malaysia, 7 from Great Britain, 6 from Australia, 3 from Thailand, 2 each from Singapore and New Zealand, and 1 each from Austria, Denmark, China, Hong Kong, Japan, and Russia. “It’s an honour to see 35 entries at this time, which include a wide global representation of nations. While many are RLIR regulars, we also have a number of first timers. This shows that the RLIR is a highly regarded event among serious sailors around the world,” said Wicky Sundram, Executive Director and General Manager of the Royal Langkawi Yacht Club. Back in the line-up is Team SMU (Singapore Management University) who missed the 2014 edition despite winning the Langkawi Sports Boat Challenge Trophy in 2013. Other yachts on the trophy course will be Phoenix, Chantique, Smystery and the evergreen vessel Eveline. Not only will the participants be competing for the coveted prizes and trophies, they will stand a chance at receiving the Tunku Abdullah Sportsmanship Award which is presented every year to the best competing team. The Tunku Abdullah Sportsmanship Award is presented in memory of the late Founding Chairman and the first Commodore of the Royal Langkawi Yacht Club (RLYC), Almarhum Tunku Tan Sri Abdullah Tuanku Abdul Rahman. 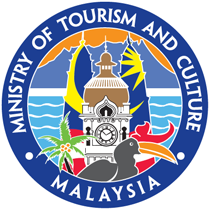 RLIR 2015 is supported by the Ministry of Youth & Sport Malaysia, together with the Ministry of Culture & Tourism Malaysia and Tourism Malaysia. 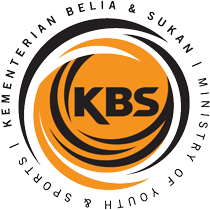 Other partners include Permanis Sandilands, Neil Pryde, Caterpillar (Sime Darby Industrial) and Teraju Tri-Tech Sdn Bhd. Media Partners are SEA Yachting, SAIL-WORLD.com, YACHT Style, HOMME, IMAGE asia, TRAXXfm Radio and Spectrum OUTDOOR Marketing. 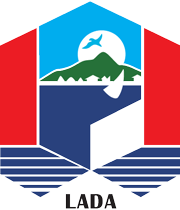 The Royal Langkawi International Regatta (RLIR) 2015, is organised by the Royal Langkawi Yacht Club (RLYC) and sanctioned by the ISAF and Malaysian Sailing Association (MSA), and is part of the Asian Yachting Circuit.